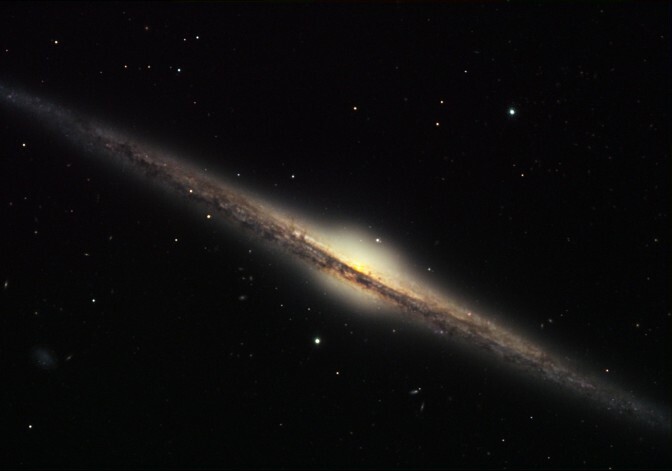 Explanation: Magnificent spiral galaxy NGC 4565 is viewed edge-on from planet Earth. Also known as the Needle Galaxy for its narrow profile, bright NGC 4565 is a stop on many springtime telescopic tours of the northern sky as it lies in the faint but well-groomed constellation Coma Berenices. This sharp color image reveals the galaxy's bulging central core dominated by light from a population of older, yellowish stars. 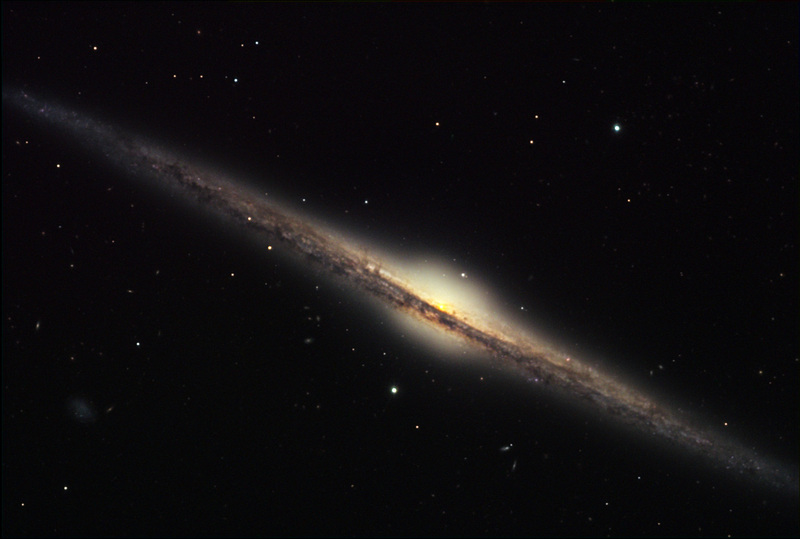 The core is dramatically cut by obscuring dust lanes which lace NGC 4565's thin galactic plane. A large island universe similar to our own Milky Way Galaxy, NGC 4565 is only about 30 million light-years distant, but over 100,000 light-years in diameter. In fact, some consider NGC 4565 to be a prominent celestial masterpiece Messier missed.